Banking in America is unique. No other country has as many banks, and types of banks, as the United States. Most countries in Europe have about four or five big banks… and that’s it. When there are so few competitors, they all tend to be alike, and not all that consumer-friendly. The plethora of banks in America is good news, but the news is not all good. How do you know which banks, among the plethora lining your Main Street, are worthy of your business? CNNMoney (there is no magazine anymore) ranks banks in America annually, and they released their 2013 rankings last month. Best savings account: GE Capital Bank and Barclays. The category internet-savvy consumers are probably most interested in is Best Online Bank, and Ally Bank garnered CNNMoney’s top ranking for the third straight year. Considering how competitive the cyberbanking world is becoming, that is no mean feat. Ally Bank also had the top rating for checking accounts and tied for the best savings accounts. One reason for that, certainly, is because the interest rates they offer are consistently among the highest. But then again, the mere fact that they have live reps, 24/7, something not seen in many other banks of any description, is another draw. Not mentioned is the fact that they’re also the nation’s oldest and largest lender for auto loans. A snapshot like the one above gives you a good idea of current standings, but what’s even more helpful is to observe changes. Which banks are survivors, new arrivals, and which have quietly slipped from the peak? It is the only category that produced a tie — there was a tie among four banks both last year and this year. Competitive pressure has brought three new banks to the top this year. The sole survivor from last year was Zions Bank, a regional bank in Utah and Idaho. National surveys like this are helpful for many reasons. One of the most important of those is that it provides a benchmark to use when you evaluate your own bank. 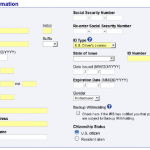 With competition this fierce, it can pay to evaluate banks more frequently and a tool like this gives you good and solid information to make an informed judgment. And, should you feel the need to make a switch, CNNMoney’s ranking is a handy starting point. 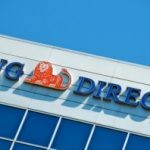 Capital One’s takeover of ING Direct happened just about a year ago, and the internet chatter surrounding that event has prompted many to look around to see what else is available.